JIm's work has been featured on network television, in national newspapers and business journals. He is the originator of the "Talking with Leaders" symposia. Jim writes a weekly newspaper column, Integrity Matters, and he is published in both English and Spanish. Jim has designed and conducted leadership effectiveness workshops - MBA Impact - in association with Extended Education at California State University. 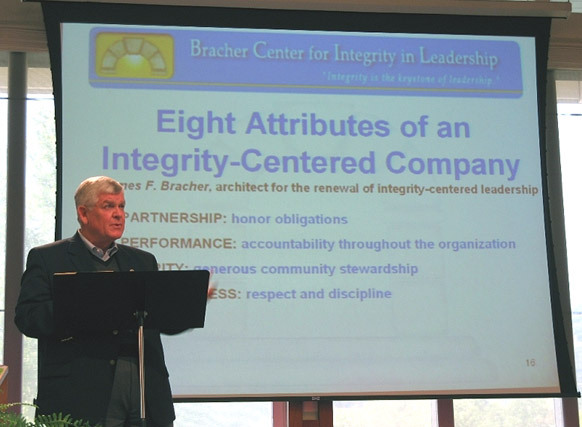 For more information about Jim's extensive backgroud and experience regarding integrity-centered leadership issues, Click Here. 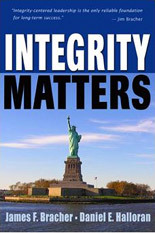 Integrity Matters shows you steps to take to ensure that your business, civic organization or volunteer group can operate with high standards of integrity. The companion question to "Whatever happened to integrity?" is "How can we get it back?" Clarity, insight, intensity, sensitivity and follow-through are combined with a wealth of experience, enabling listeners to gain practical solutions for their leadership concerns; on the job and in their private lives. Integrating personal values with professional priorities, Jim weaves illustrations that cause change in how individuals address problems. 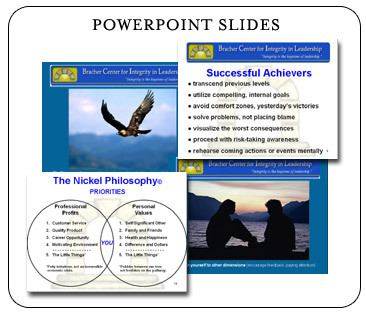 * Jim Bracher’s keynote presentations, including Nine Steps, can be custom-designed. To contract Jim Bracher as a keynote speaker, contact us.